Fascinated, we caught up with Sara to learn more about what she does and the path that brought her there. 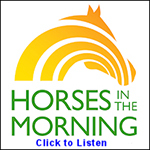 Sara is the owner and creator of Discovery Horse, her equine coaching service based in Minnesota. Your TEDx talk gives us an introduction, but I’m sure there’s more to be told. Can you tell us more about your work through Discovery Horse? What is your role as an equine coach? My partner Matt and I purchased Dandelion Farm in Brainerd, Minnesota in August of 2015. It has been no small task. We consider ourselves stewards for this land and for the animals that live on it. I have been a certified Therapeutic Riding Instructor (through NARHA/PATH) I have also been certified through EAGALA. The work that I currently do and offer through Discovery Horse is based in the Equine Gestalt Coaching Method developed by Melisa Pearce of Touched by a Horse. The two years it takes to be certified offers an intensive process of learning and self growth. The healing I personally received through the method during my training was invaluable and I couldn’t have imagined to have received such healing and growth in one lifetime. Through this method we believe that the horses are true partners in this work, that they are individual and sentient beings who step in as healers driven by their own consciousness and desire for peace. They are not mirrors, they are actively participating in each and every interaction. I am now the sales liaison for the certification program because I believe so deeply in the work itself. My partner Matt has also joined the program and will graduate in 2017. Through Discovery Horse I work with youth, adults, families and individuals. I offer individual and group sessions as well as multiple retreats throughout the year. I meet each person where they are at with a true sense of respect, love and clear boundaries. As my TEDx talk demonstrates I believe authenticity and vulnerability to be the true precursors to healing; they are where strength stems from. Which, of course, is completely counter-intuitive: we think that being strong is demonstrating strength, of being impermeable, of being unbendable. The truth … if we walk through the world in resistance, in denial of our soft parts, hiding our truths and vulnerabilities, we stop ourselves from ever having the opportunity to truly connect to another being and to ourselves authentically. There are not very many humans on this planet that couldn’t benefit from some good old fashioned authentic relationship! Sara and “Nambe” utilizing the Equine Gestalt Method to bring a mother and daughter closer together. Photo by Bourn Photography. I also work with intact teams who want to develop into stronger cohesive units. It is not traditional team-building as we focus not on educating our clients — rather, we help them discover what they have quite often forgotten. We work on communication, relationships, perspective, judgement and trust, to name a few. I LOVE working with educators. Because I work with so many youth it creates an amazing systems approach to bring the teachings full circle. I also love working with people and their own personal horses. I am NOT a trainer nor do I call myself a horse whisperer. I simply help people shift their perspective and see their horses differently, open them up to a possibility they may never have considered. I invite them to listen to the horses in a different way which involves listening to ourselves differently. I work with several young girls in the show world and the work we do behind the scenes makes a world of difference in the ring. Being vulnerable and authentic isn’t always easy. I really try and walk my talk. Living with seven horses that I care for each day certainly keeps me honest. I have one horse in particular: Lancelot. He is a half quarter half Clydesdale. He is for certain my soul pony. He came with the day of the TEDx event. While I was on stage my team hauled him in and set him up in a big round pen outside. After I was done speaking, I extended the invitation I had given during the talk to the audience. I asked them to go out in silence, to meet Lance, to be open to the message he may share with them, to be open to the thoughts and feelings that came up without judgement. He was a show stopper. People honored my request for silence which pleased me as we are so good at deflecting intimate experiences by talking. There were many tears around the pen. Several people came up to me later and shared that they weren’t too bought in by my talk; however, meeting Lance made all the difference in the world. He changed lives that day — I am sure of it. He keeps me honest. He is so sensitive, so big and yet so gentle. He seems to want to be with people more than other horses. I consider him my no-BS partner. He is so committed to people being authentic and finding their truth that it can be a bit much for someone not quite sure if they want anything. If you are motivated for change, for growth for expression … than Lance is the coach for you! Sara and Sir Lancelot “Lance”. Photo by Bourn Photography. Dandelion Farm is a place for healing, for authenticity. We have an expression with Discovery Horse: we want to help you find your Inner AWEsome! I believe that EVERYONE has light, a gem, inside. Often we don’t know where to look, don’t think we are valuable to enough to have one and we certainly don’t shout our findings to the rooftops. Here we do. We search for that inner awesome in everyone. And we will hold onto it until you can see it yourself. Now, don’t get me wrong …by reading above it looks like I really have my stuff together. Believe me …there is always more to deal, to heal and to become. I get angry, frustrated, hurt and overwhelmed — often. I am like anyone else, except that I love contact, intimacy. This work has ruined me for small talk and superficiality. The difference now is that instead of running away from discomfort, from anger, from sadness and from fear, I walk through it. Pretending like it isn’t there only makes it bigger and louder and it definitely lasts longer. What is the Equine Gestalt Coaching Method? 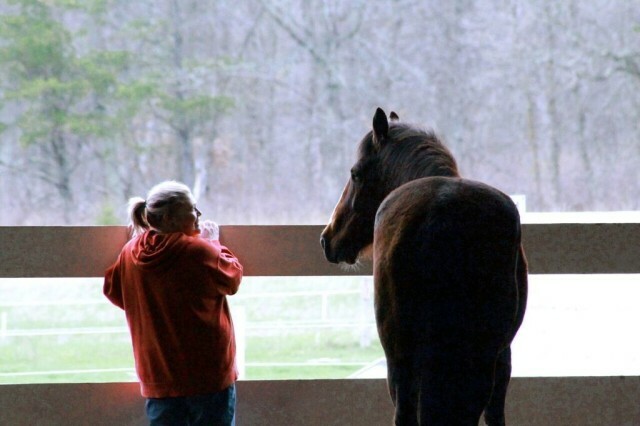 This is the definition that founder Melisa Pearce uses for EGCM: The Equine Gestalt Coaching Method was developed by Melisa Pearce, a core founder since 1989, of the horse-human healing movement. The experiential nature of the method involves the horse as an active partner with the coach in the client’s exploratory process. The integrative approach of the equine’s interaction combined with positive coaching, somatic awareness guidance and Gestalt methodology, assists the client in examining their life and choices made with a focus on designing a positive future. Some models talk about the horse as a “tool” or a “mirror.” In my belief system those terms minimize the horse’s contribution to the work. I believe the horses show up authentically and as sentient beings. I believe they interact, react and respond individually and as conscious beings. This belief system is what ultimately drew me to EGCM. I am such a strong believer in this method I now operate as sales liaison for the certification program and am also a trainer. Due to their prey mentality horses are extremely sensitive. They respond and react to what is happening in the client in real time. All emotions and thoughts have frequencies and horses respond quite authentically to these frequencies offering the client immediate feedback to their state of being. Often we are operating so unconsciously that we aren’t even aware of incongruent messages we are sending or sharing. Horses are very attracted to our truth and to authenticity. It feels safe. Ironically we as humans are attracted to the same thing but quite often we don’t have the conscious awareness of this thus leaving us uncomfortable and unclear. I will say one thing about horse selection: none of my horses are trained. I have few rules around what horses can be a part of our herd. No biting and no kicking are really the fundamentals. I also look for horses that want to be with humans. Some horses are just too traumatized by past interactions and have no interest in helping us for which I do not blame them. 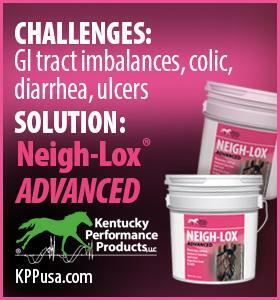 I can’t force a horse to do this work; they have to want to be a participant. Because we don’t ride the horses during this work I can take horses that otherwise might not have a purpose or job. Half of my herd can’t be ridden for various reasons and I honor that. The healing herd at Dandelion Farm. Photo by Sara Sherman. We continue our conversation with Sara in Part II to learn more about how a sample equine coaching session works as well as where equine assisted coaching fits into the family of equine therapies. For more information about Sara and Discovery Horse, please visit the Discovery Horse website and “like” the program on Facebook.